You want to earn money on the Forex market, but do not want to delve into the complexities of financial operations, or simply do not have sufficient experience to conduct profitable trading. 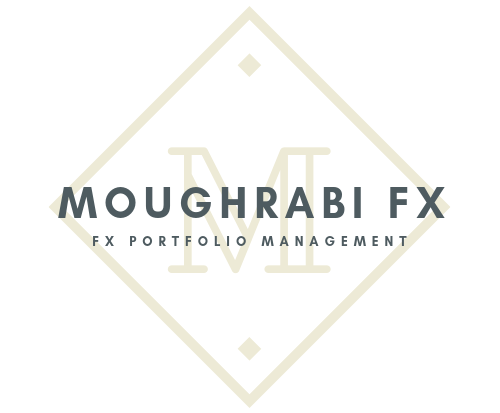 Moughrabi-FX offers you an opportunity to copy the master account orders to your account and start making profits. Moughrabi-FX is a service that allows you to copy trades from master Forex account. The master account is proven as a profit and reliable system to generate monthly income with minimal risks. How much the return on investment? The strategy generate 100% in six months. The avergae monthly income is 12% with 7.5% drawdown !! The real account is verified by 3rd party website @MyFxBook. The return is almost double the risk!!!! Why is MyFxBook reference important? The MyFxBook is a third party website. It will allow you to analyze the master account and have an expectation of future results based on previous performance. Now you can make profits and copy my signals at a fixed fee with different payment plans. The fixed fee will allow you to make a profit without sharing your profit as a percentage. We recommend ForexVPS as it provides super low latency servers. Why trade forex when there are thousands of other financial markets you can trade? Here we’ll look at some specific forex trading benefits in greater detail. Every trading day around $4 trillion is traded in foreign exchange, making forex the world’s largest market. Because of this exceptional volume, particularly in the major currency pairs, the forex market tends to be highly efficient: you can fill trades at larger sizes and dealing spreads stay competitive with many traders on either side. The high number of participants in the forex market also tends to ensure that there is always some price activity, always something happening in the market. Dramatic price movements are not uncommon, though you should note that this presents risk as well as opportunity. And because the forex market is truly global, you can trade right around the clock throughout the trading week (Sunday 23:00 to Friday 21:15). It’s the market that never sleeps. Whatever your preferred trading method, the forex market will provide you with opportunities. You can use geopolitical, macroeconomic or technical factors as a basis for picking your trades. That is, you can buy or sell currencies in response to world events in specific locations, or in response to changes in major economic indicators, or you can look purely for patterns in the price history to identify trends. You can view currencies as intimately linked to the economies which sustain them, or you can view them as abstract markets removed from material events. Or you can combine both views to develop your own trade-picking strategy. What’s more, you can employ forex trades within many different types of trading plan. Whether your goal is short-term speculation with many short-lived trades or a longer-term hedging strategy based on the matching of several forex pairs, the forex market has something to offer you. While the potential volatility of the forex market can offer traders opportunities for short-term speculation, you should also bear in mind that greater volatility similarly increases your risk of sudden losses. Moreover, leveraged trading increases both the potential return on your capital and your potential losses.